The global out-of-band authentication market is likely to display monumental growth in the near future. Spanning outside the defined band for telecommunications frequency, out-of-band is an activity mainly used for protection from false decode in telecommunication systems. To define, out of band authentication (OOBA) refers to a process where authentication is carried out using two different signals using two different networks or channels. Using such sophisticated authentication, this prevents many kinds of fraud and hacking. 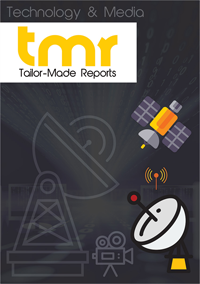 The report on out of band authentication market delves into past and current trends to assess future growth trends in the said market. To present this, analysts employed industry-centric statistical tools and verifiable research methodologies. Further, prevailing competitive hierarchy in the out of band authentication market and how it is expected to change over the forecast period is a highlight of the report. In recent years, with ceaseless smartphone use, digital transaction is becoming common in India. Financial technology companies are striving to launch new authentication solutions to bolster digital security transactions. In this space, Financial Software and Systems has released FSS Secure3D – a new generation adaptive authentication product. Based on EMVCO 3DS 2.0, it is one among top 20 globally certified products. Entrust Datacard – a leading player in the out of band authentication market made news by expanding availability of its proprietary authentication solution - IntelliTrust Authentication Service. The solution is now available integrated with Microsoft’s Azure Active Directory cloud platform. Majorly fuelling the out of band authentication market is rising need to employ sophisticated authentication technologies to prevent data theft and identity theft. The ever-expanding use of smartphones for digital payments carries risk of loss of critical credentials. Vulnerability of unsecure payment gateways can leak user information to third-parties involved in hacking. In such scenarios, employing out of band authentication technologies adds another layer for data security using online banking. With such enhanced security features, financial institutions and other organizations that have high security requirements often use out-of-band authentication. Online payment gateways and bank transactions that involve critical information are often paired with out of band authentication technology to safeguard information. This boosts the out of band authentication market. On the downside, out of band authentication has vulnerabilities too. Out of band authentication is usually carried out via SMS messages on user’s mobile phone, which carries risk of being intercepted or redirected. For such reasons, the U.S. National Institute of Standards and Technology is updating guidelines for digital online authentication. Once these guidelines are implemented it will offer the next level of security to safeguard online data and online identity. This is likely to have a negative impact on the out of band authentication market. The global out of band authentication market could be studied across North America, Asia Pacific, Europe, Latin America, and the Middle East & Africa. Among them, North America is likely to contribute the leading revenue to the overall out of band authentication market. Excessive use of sophisticated authentication to prevent fraud, especially by financial institutions makes North America a key one. Asia Pacific, on the other hand, is poised to display healthy growth in the out of band authentication market over the forecast period. Due to increasing BYOD practices among both SMEs and large organizations, need to prevent identity theft is leading to the adoption of sophisticated authentication technologies.